Joanna Romer‘s writing has appeared in The New York Times, Cosmopolitan, Mademoiselle, and other publications. With her late husband, Jack Milton, Romer wrote and produced the 1972 feature film, Please Stand By. For the past 14 years, she has taught communications at colleges and universities in Florida and New York. 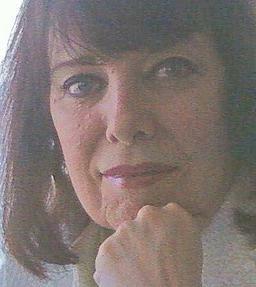 Currently, Joanna Romer lives in Daytona Beach, Florida, where she has written several books for MSI Press, which have achieved various forms of acclaim. Follow the links to the books to learn about each and how it has been received. Widow: A Survival Guide for the First Year was published in 2012. A Widower’s Guide to a New Life, published in August 2014, received starred status in Library Journal, was recommended by US Review of Books, and was selected as Book of the Year Award finalist for 2014. With Cheryl Vassiliadis, Joanna produced Creative Aging: A Baby Boomer’s Guide to Successful Living, released in December 2014 and favorably reviewed by Library Journal. This book was selected as a 2015 USA Best Books Award finalist and recommended by US Review of Books. Divorced: Survival Techniques for Singles Over 40 was released in June 2015. A Woman’s Guide to Self-Nurturing: How to Build Self-Esteem by Being Nice to Yourself was released in November 2015. How to Get Happy and Stay That Way was released in May 2016. Passing On: How to Prepare Ourselves for the Afterlife was released in December 2016. Recovering from Domestic Violence will be released in May 2017. It is with deep sorrow that we report the passing of Joanna Romer, unexpectedly, in July 2018. Her prolific contribution to the bookshelves of libraries — and MSI Press — has been tremendous. Her books are well-loved. She had two books in various stages of publication when she died; they will be published posthumously: Helping Our Disabled Veterans and with Pat Young, Life after Losing a Child.